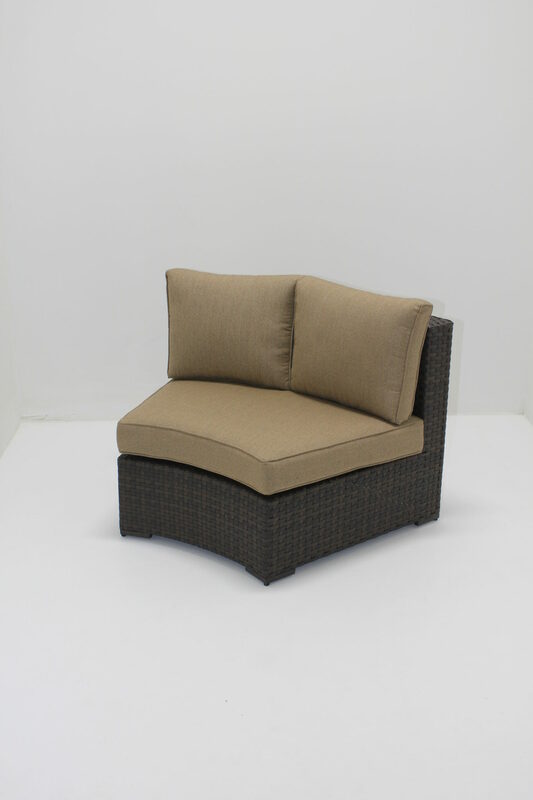 its best with built-in storage within the armrest, and each piece is sold separately to meet your outdoor needs. turn of the dial to illuminate your outdoor area. * Sunbrella® cushions included with limited colors available (see page 16). Shown here in Sesame Linen.